This classic work analyzes the political organization of a free society through the lens of the economic organization of society. The authors acknowledge their unease as economists in analyzing the political organization, but they take the risk of forging into unfamiliar territory because they believe the benefits of their perspective will bear much fruit. The authors describe their approach as “economic individualism.” They believe that economists have explored individual choice extensively in the market sector while social scientists have largely ignored the dynamics of individual decision-making in the dynamics of forming group action in the public sector. 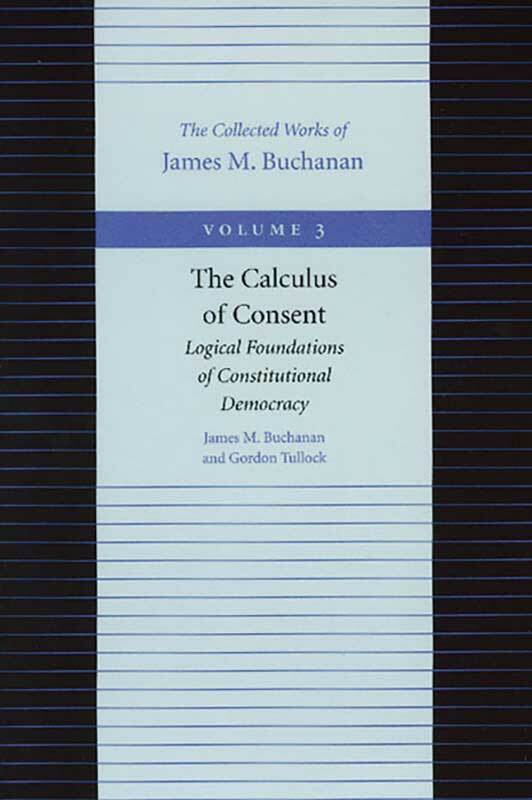 Written in the early 1960s, The Calculus of Consent has become a bulwark of the public choice movement for which James M. Buchanan is so justly famous. Foreword, preface, name index, subject index.